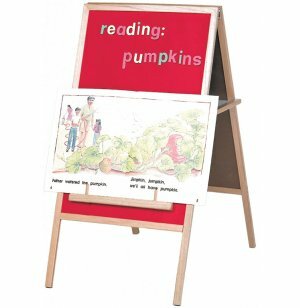 Add tons of educational fun to your early-childhood classroom with a Magnetic Felt Classroom Easel. 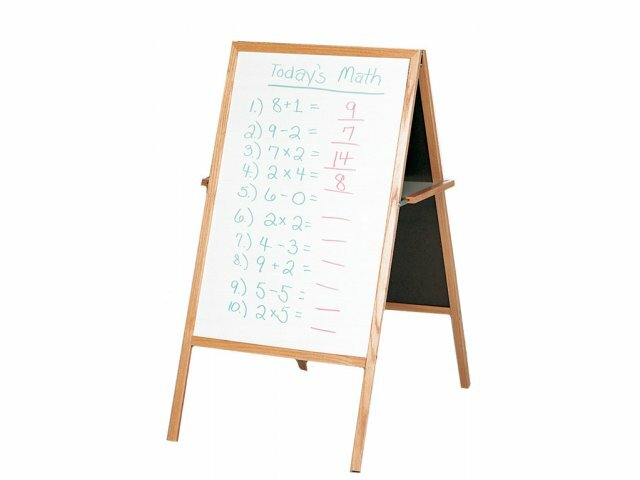 With both a felt surface and whiteboard easel, you have everything you need for today’s flexible classrooms. The felt side accepts both magnets and flannel cutouts, thus allowing greater teaching flexibility. When you want to write down some new spelling words or illustrate a concept, just turn the board around and you can have an instant whiteboard wherever you need it. A convenient tray in the space between the two surfaces provides the perfect place for markers, an eraser and felt shapes. Want to read a big picture book with your students? 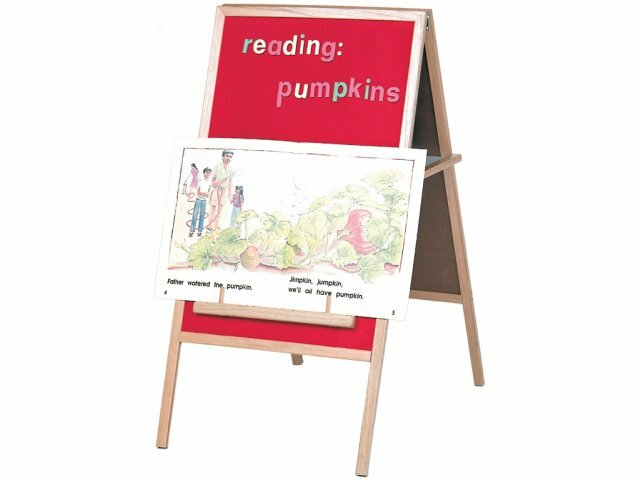 This classroom easel even has a magnetic book ledge so you can really put together interesting, multifaceted lessons. Surface Selection: With a magnetic feltboard on one side and a whiteboard surface on the reverse side, teachers get the best of both worlds. Easy Reading: Includes magnetic-backed oak tray book ledge for use with big books, charts or posters. Convenient Storage: Comes standard with a storage tray for cutouts, markers, and magnets between the two writing surfaces. Solid Frame: Framed in solid wood for strength and visual appeal. Space Saver: Folds for compact storage so you can easily put it away when you don't need it. Complete Package: Set of markers included.